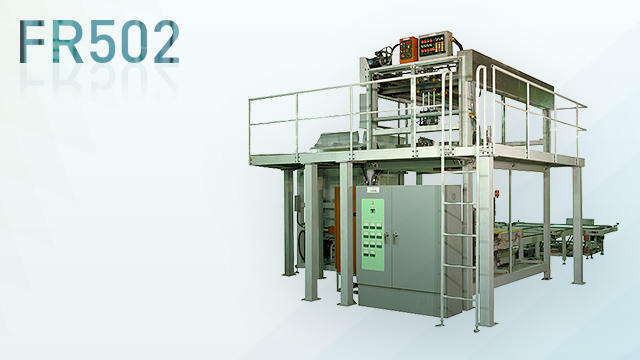 FR502 that can palletizing of cardboard, bags, bottles, cans | Robot | FUJI MACHINERY CO.,LTD. Stacks cardboard cases, bags, bottles, cans, etc. into palletes by selecting them with a grasping hand. The only instructions to the robot are step 1 and step 2. One robot can stack up to 4 palletes while differentiating between different patterns for each.